(1) With reference to her reply to question 312 on 25 April 2017, (a) what performance indicators has her department put in place to monitor the incubators funded by the programme and (b) what was the actual performance of the incubators in the (i) 2016-17 and (ii) 2017-18 financial years; (2) Whether her department suspended any payments to the incubators due to non-performance; if so, what are the relevant details; (3) Has her department made any on-site inspections of the incubators; if so, (a) on what date did the inspections take place and (b) what are the names of the departmental officials who made the inspections? ii) Number of new small businesses/co-operatives established. iii) Number of businesses linked to markets. iv) Number of jobs created. v) Percentage of Women-owned enterprises supported. vi) Percentage of Youth-owned enterprises supported. vii) Percentage of Enterprises supported in rural areas. viii) Percentage of Enterprises supported in township areas. (1)(b)(i) The actual performance of the incubators in the 2016-17 financial year is attached as Annexure A. (1)(b)(ii) The actual performance of the incubators in the 2017-18 financial year has not been recorded as the incubators that were approved during the 2017-18 financial year are yet to submit their annual performance reports. Slow implementation progress – The final payment of R1 600 000.00 was withheld due to slow implementation progress since quarter 2. The incubator indicated that the funds were committed but no expenditure has been reported. Sibanye Gold pulled out as the market for the incubatees. The Enterprise Incubation Programme (EIP) programme is centred on the securement of a market/s by the applicant (Incubator) and transferring of skills to small businesses and cooperatives (incubatees), with an effort of attaining the expectant quality standards and specifications of firms. The final tranche payment amounting to R1 600 000 was withheld. The balance of R1 600 000.00 was withheld due to slow implementation progress. (3)(a)&(b) The Department made on-site inspections of the incubators as depicted in Annexure B for the 2016/17 approvals and Annexure C for the 2017/18 approvals. The Office of the Minister has a staff complement as defined in the Ministerial Handbook. In line with the Protection of Personal Information Act (PoPi) and the Basic Conditions of Employment Act, I am unable to provide the members with such confidential information in the manner it is requested. The impact on the latest fuel increase will have a devastating effect on small business and will trigger food price inflation. Transport costs, which are the most severe on black household, will also rocket. This is fourth increase in as many months this year and is going to be a telling blow. Manufacturers will pass these increases on to the small businesses who in turn will have to face consumers who will resist new prices. The same small businesses will also be faced with higher transports costs as they use either public transport or own transport to get their wares from wholesalers and manufacturers. They will also pay increased delivery prices. Finally, and as argued by leading economists, small businesses are generally not able to negotiate price concessions more so given the fact that their environment is very competitive given the increase in the number of shopping malls and foreign traders in their trading environment. The most tragic part is that these businesses are always price takers instead of price makers. This is the most tragic part of this situation. The DSBD is looking at ways in which it can offer relief as it knows small businesses are always in a much weaker position to ride out reduced consumer spending as is going to be the case. Only one SMS member did not declare their interest as required during the 2017/18 financial year. (1)(a) The Department is awaiting reasons for non-compliance to the eDisclosure requirements from the SMS member. (1)(c)(i)&(ii) As per the PoPI Act, the Department is unable to provide the details as requested. (2) Consequence management is taken very seriously within the Department. In line with this view the noncompliant SMS member has been furnished with a letter requesting the member to furnish the Accounting Authority with reasons as to why a formal disciplinary process should not be instituted. This process is ongoing and should be concluded by the end of October 2018. Furthermore, following the conclusion of the eDisclosure process the Public Service Committee (PSC) provides comprehensive feedback to the Director General on the status of compliance by all designated officials within the Department. This report highlights the inconsistencies that were picked up in the process of declaration by designated members. The Director General then effects disciplinary measures, where necessary, to address the issues raised by the PSC. To date, the PSC has not provided the feedback on the 2017/18 declarations. (i) &(ii) The Enterprise Incubation Programme (EIP) has been operational since 1 April 2016. Since being operational, the Department of Small Business Development (DSBD) has not piloted the EIP for small businesses and cooperatives in the identified municipalities. The Department has received one application from the Thembisile Hani Local Municipality. However, the application was not successful as it did not meet the requirements. (aa),(bb),(cc) & (dd) Not applicable. (1)(a) Minister Lindiwe Zulu has travelled with her spouse on several International trips in the past five years. (aaa) Accompanying the Minister on the official trips. (1)(b) No adult family member has accompanied the Minister to official international trips in the specified timeframe. In relation to the expected outcome of identification of gaps and areas of improvement in entrepreneurship education, it was reflected that the approach to entrepreneurship education can be broadly categorized into two major approaches, the first being “education for entrepreneurship” and secondly “education about entrepreneurship”. The former has a practical focus on entrepreneurship education and the goal is to equip the learner with entrepreneurial skills. The latter focuses on the theoretical aspect of entrepreneurship education and its goal is to provide the student with knowledge pertaining to the various schools of thought around entrepreneurship. The gap that was identified is that the bulk of higher education learning around entrepreneurship has mainly focused on the theoretical approach which is education about entrepreneurship without necessarily equipping the leaner with practical skills that are required for entrepreneurship. Therefore there is a need to further engage institutions of learning on how the two approaches to entrepreneurship education can be brought into alignment with the country’s priority to train and develop an increasing number of entrepreneurs and to improve the skills base of existing entrepreneurs for business sustainability. Consideration will be given on the approach as the discourse around embedding entrepreneurship education into curricular continues. The second outcome speaks to the outlining of a plan on how the DSBD can collaborate with academia, government departments and Development Finance Institutions to ensure the development and growth of entrepreneurship. It emerged from the discussions that there were already efforts that had been taking place between various institutions and different sections of the public sector. It was established that because these efforts were fragmented and the impact thereof has been limited and minimal. A need for greater collaboration between all the stakeholders was identified. Going forward, it was determined that DSBD would have further engagements with higher education institutions and other government departments as a step towards coordination and collaboration. An invitation from DHET to DSBD was extended to attend their upcoming workshop on entrepreneurship education. This received a positive response from DSBD as DHET has already established a network of stakeholders around entrepreneurship education. It was generally agreed that stakeholders would share information on any new and ongoing programmes with regard to entrepreneurship education. The third outcome was concerning the role of Development Finance Institutions (DFIs) in entrepreneurship education. It was highlighted that efforts to promote entrepreneurship within institutions of higher learning often lacked the necessary financial resources which is an inhibiting factor for entrepreneurship education. It was suggested that there is a need to get commitment from various institutions to provide some type of financial investment towards entrepreneurship education. Therefore, the final plan on how the Department will collaborate will be drafted once existing collaborations have been determined in order to avoid duplication. OUTCOME 4: GENERATION OF A DEPARTMENTAL-INSTITUTIONS OF HIGHER EDUCATION RESEARCH PROTOCOL AND FRAMEWORK THAT WILL KEEP GOVERNMENT ABREAST OF THE IMPACT OF ENTREPRENEURSHIP EDUCATION ON THE DEVELOPMENT OF SMALL ENTERPRISES. The fourth outcome was in respect of generating a Departmental-Institutions of Higher Education research protocol and framework that will keep government abreast of the impact of entrepreneurship education on the development of small enterprises. It was reiterated that the promotion of research within entrepreneurship should be prioritised and that the already existing body of knowledge should be shared with the Department. It was discussed that some institutions made deliberate efforts towards updating research methodologies and strategies and therefore a connection between the Department and them would be of great benefit. The fifth outcome spoke of the development of a high-level framework within which multi-stakeholder small business development support partnerships will be established within institutions of higher education to ensure the commercialisation of innovative ideas and provision of integrated support services (co-location). It was discussed that some institutions were already implementing such arrangements particularly with SEDA, lessons on best practice around co-location would be shared among the stakeholders. One of the main emerging points from the roundtable discussion was a need for the Department to be more intentional in its collaboration with institutions of higher learning regarding the promotion of entrepreneurship. The DSBD has an approved research agenda in place that reflects its thematic and priority areas of research around small, medium micro enterprises and cooperatives. A draft research plan has been formulated for the financial year 2018/2019. The Department is engaging higher education institutions with a view to entering into partnerships around research on SMMES and cooperatives. In this regard, the Department intends utilising post-graduate students that are engaged in research commensurate with the thematic areas of the approved DSBD research agenda. Moreover the proposed partnership/s will allow the DSBD to conduct research in a cost effective manner and afford post-graduate students access to data and respondents for successful implementation and completion of research projects. To date the Department has engaged with several academic institutions with the aim of forming research partnerships. The response from the academic institutions has been positive however at this stage formal Memoranda of Understanding (MoUs) are yet to be finalised. The latest of these engagements was on 01 June 2018, wherein the Minister addressed the South African Commerce Deans Association of all South African Universities at the Turfloop University, in Limpopo. The Minister addressed some of the issues raised in the October 2017 Colloquium with the Deans at this engagement, to which the Deans noted the input and later agreed among themselves to set up a team to follow up and implement some of these proposals. Through the Department of Small Business Development (DSBD) and the Small Enterprise Development Agency (SEDA) 46 informal businesses in Dr J S Moroka and 34 in Thembisile Hani were assisted through training in business skills in the 2016/17 financial year. The 43 of the 46 beneficiaries trained in 2016/17 financial year for business skills in Dr J S Moroka Local Municipality applied for the IMEDP incentive scheme and were approved in 2017/18 financial year. Whilst the 23 of the 34 beneficiaries trained in 2016/17 financial year from the Thembisile Hani Local Municipality have applied and approved for the incentive scheme in the 2017/18 financial year. Traditionally, SEFA supported informal and microenterprises through Microfinance Intermediaries. Two of the SEFA funded intermediaries, the Small Enterprises Foundation and Phakamani Foundation have a high concentration of clients in the two provinces of Limpopo and Mpumalanga. Phakamani, in particular, has its head office in the Mpumalanga province, where most of its business is based. Informal and microenterprises in the Dr J S Moroka Local Municipality and Thembisile Hani Local Municipality have benefitted, and continue to benefit from the services of Phakamani Foundation. The Department has supported in total 20 and 15 small businesses Thembisile Hani and Dr J S Moroka respectively through business support and machinery and tools interventions. The DSBD has through the Co-operative Incentive Scheme (CIS) also supported 6 Co-operatives in Thembisile Hani (3 Co-operatives) and Dr JS Moroka (3 Co-operatives) Local Municipalities. In the Thembisile Hani municipality, 2 of the Co-operatives are in the agricultural sector and the activities supported include piggery structure, pigs and feed, borehole and farming equipment and 1 Co-operative in the services sector that was supported amongst others with tents, chairs, tables, meat chain saw and a delivery vehicle. In the Dr JS Moroka municipality 2 co-operatives are in the agricultural sector and activities supported include tractor with implement as well as a commercial vehicle and 1 Co-operative in the services sector that got catering equipment. (2) The Department of Small Business Development (DSBD) is in the process of analysing and developing the amendments to Schedule 1 of the National Small Business Act, which defines SMMEs, ensuring that these definition are current, relevant and applicable to the structure and nature of SMMEs, thereby ensuring access to government support programmes while promoting their financial sustainability and ability to promote and create employment over the medium to long term. It is anticipated that the process will be finalised by 31 August 2018. (bb) 2017/18: 1 incident reported in September 2017. SEFA: One alleged case of sexual harassment was lodged. SEFA has a documented process on how to deal with Sexual Harassment matters raised and reported by employees and investigations are in line with the guidelines of the Disciplinary Code and Grievance Procedures approved on 1 October 2016. SEFA: With regard to the alleged sexual harassment case reported, a due process as per the documented procedure was followed, namely, the investigation, suspension and ultimately employee leaving the employ of SEFA in 2017. (i)(aa) None. The investigations did not conclude recommendations for criminal prosecution. (i)(bb) Two (2) cases were reported to the South African Police Service (SAPS). There are additional two (2) cases that management still needs to implement the recommendations and open criminal cases with the SAPS. (b)(i) With regard to the two (2) cases reported to the SAPS, internal investigations concluded and recommendations have been given to management for implementation and improvement of the control environment. Further investigations are continuing with the SAPS. (i)(bb) Eight (8) Criminal cases of fraud have been opened by SEFA since its establishment in April 2012. These have been opened with the SAPS and investigated by the Commercial Crimes Unit. (b)(i) Eight (8) Criminal cases of fraud have been opened by SEFA. (b)(ii) On-going follow-up is done with the Commercial Crimes Unit through SEFA’s Internal Audit Department. (b)(iii) To date, there have been no convictions in relation to the cases opened. (1)(a)(i) The Department of Small Business Development (DSBD) does not have any incidents of racism reported to the Human Resources unit. (1)(a)(ii) The Small Enterprise Development Agency (SEDA) nor the Small Enterprise Finance Agency (SEFA) does not have any incidents of racism reported to their respective Human Resources units. (a-b) Deputy Ministers are appointed to support Ministers in carrying out their duties in so far as the mandate of the respective Department they are appointed to. Therefore, the role and function of the Deputy Minister would be to support the Minister in carrying out the mandate of the Department of Small Business Development. (a) The National Informal Business Upliftment Strategy instruments i.e. were formulated and implemented from 2015/16 financial year. These instruments have not been performing well due to both capacity and the tedious nature of the implementation mechanisms such as partnerships with municipalities that were not forthcoming and the internal supply chain processes with onerous requirements. Based on this and given the underperformance of the programme a decision was made by the Department to transfer part of the funds to the performing programmes and The National Gazelles Programme was identified as one of these. (b) The amount was required since the Gazelles programme has not been funded since its conceptualisation. (c) The Gazelles programme did not have a budget. It was funded through the adjustment estimates applied for every year till recently when the programme was allocated R30 million budget by the National Treasury. 1. The shares were disposed of at the end of 2016 and the person is no longer a shareholder or executive. 2. The person naturally received benefits as a shareholder and Director until shares were disposed of and he had resigned from all positions. 3. Yes, the conflict of interest was declared before appointment as per the report from the Public Service Commission on this matter, however, the Minister requested the adviser to dispose of his shareholding to deal with any perceived conflict, which was duly done. 4. Yes, the employment contract can be furnished. (1)(2)&(3) The Department of Small Business Development (DSBD) was established in 2014 and continued with financial management under the Department of Trade and Industry (the dti) until the end of the end of the 2015-16 financial year. The DSBD’s financial functionality was fully independent in the 2016-17 financial year. Tag C: Service providers and/or contractors utilised by SEDA. 705 Orders concluded from Levels 1,2,3,4,5,6,7 & 8 as well as those who were non-BEE compliant to the value of R178 087 977 over the period 2012/13 to 2016/17 financial years. Level 1: 3 service providers - R 4,790 060.46. Level 2: 4 service providers - R 6 973 913.74. Level 3: 3 service providers - R 12 198 050.98. 13 black-owned service providers paid at an amount of R33 881 333,32. (1)(a) By what date will the position of director-general (DG) of her department be advertised since the contract of the current DG ends in August and (b) by what date will a new DG be appointed; (2)	whether she has plans for a hand-over period from the current to the new DG; if not, why not; if so, what are the relevant details? (1)(a) The contract of the Director General of the Department of Small Business Development (DSBD) expires on 30 September 2018. It is anticipated that the post will be advertised on 15 June 2018. (1)(b) According to the action plan (attached as Annexure A) the new Director General will be appointed on 1 September 2018. This is dependent on external factors influencing the dates on the action plan for example the availability of the Ministers to serve on the panel as well as Cabinet’s schedule to consider the recommendation of appointment from the Minister of Small Business Development. 2. The Director General will embark on a hand-over process during September 2018 during which she will work hand-in-hand with the newly appointed Director General. (aa)&(bb) Not applicable since the Department does not own any land nor lease land. (aa) SEFA letting to SMMEs / tenants. (bb) Occupied by tenants only. 1. The Department of Small Business Development (DSBD) has a Sexual Harassment Policy in place. With regard to handling of assault related cases, the DSBD will recognise and apply the Disciplinary Code and Procedures (Resolution 1 of 2003). b) The Sexual Harassment Policy was approved by the Director General on 28 May 2016. (i) The reports will be investigated in terms of the procedures stipulated in the policy. (ii) The policy prescribes that the existing internal procedure such as disciplinary, appeal and dispute procedures be utilised. The disciplinary measures shall be taken in accordance with the Disciplinary Codes and Procedure for the Public Service. The policy does not indicate the sanctions as each case will be dealt with on its own merits and the sanctions will be determined during the hearing. (2)(a)(i)&(ii) There were no reported cases of sexual harassment nor assault since the Department’s inception. Ms Wendy Joy Nelson, Member of Executive Council (MEC): North West, Department of Finance, Economy and Enterprise Development and North West Development Corporation. Sheet metal welded assemblies and sub-assemblies, dash panel, rocker panel and tunnels. (b) Having agreed to Co-host the event, the Department negotiated terms with the organisers of CISMEF and as co-hosts obtained sponsored accommodation with hotel rooms paid for by the organisers as well as ground transport for all participants. Seven (7) officials, including the Minister were accommodated by the organisers. Furthermore, there were four officials from the Department who were responsible for the events logistics who were accommodated through Departmental funds paid for through the Department of International Relations and Cooperation (DIRCO) to the Embassy. The Department paid for travel costs for nine (9) officials. Accommodation costs for Minister and five (5) officials were covered through negotiations with the event organisers for sponsored hotel rooms. The Department only covered the accommodation costs for four officials who provided logistical and communications support for the event. Daily expenses were covered by the Department for the nine (9) officials. Some of the most remarkable benefits derived from CISMEF are not necessarily quantifiable. The level of exposure these SMME’s received as well as the skills they gained from being part of CISMEF could never be measured but they are none the less just as important as the Business to Business deals that were made. The co-hosting of the 14th CISMEF has provided the Department an opportunity to show-case the capabilities of SME’s in our country on a global scale. This was the first international pavilion the DSBD has participated in, since proclamation. The opportunity afforded our SME’s with a platform to not only to access global markets for their products but also to gain linkages to their Chinese counterparts. Established new business relationships with Chinese companies willing to purchase their products. Chiz Boys requested to produce cheese sauce, as there was an interested to procure. Chiz Boys also gained knowledge on creation of new markets for cheese in relation to the possible opportunities in China and making inroads into this market. Green-Buds Logistics now has off-takes to supply citrus fruits (oranges, lime, lemon and grapefruit) to China. Also secured the service of an agent who will source/ import for different grocery stores in China. Fearless Afrika met with equipment manufacturer for investment and equipment procurement. The manufacture’s equipment meets Fearless Afrika’s expectations. It can produce more ranges of sanitary towels as per demand in RSA and the rest of the continent. Leema Industries has greatly benefitted from the fair. They met two companies that are willing to supply them with the machinery to manufacture computers in South Africa, provided Leema Industries can show that they have a solid market in South Africa. These companies are willing to enter into a relationship with Leema Industries. They also visited some Chinese factories, state of the art and technologically advanced manufacturing processes. Also developed strong relations with SME from South Africa; they requested that a platform for communication and idea sharing be created amongst South African Exhibitors. The enterprise has made leads with other Chinese vegetables and flower plant sellers. CISMEF has provided new perspectives on innovation and helped us expand our horizon in innovation and healthy development of plants”. The negotiations to export 383 boxes of wine per month to a retailer in China are ongoing and have not yet been finalised. A Chinese company, known as Good Idea Steel Jewellery has expressed interest in distributing VJS Jewellery. Mr Jonas is currently conducting research before agreeing to the business transaction. A Polish company encountered during CISMEF has additionally also shown interest in importation of VJS products. Negotiations are ongoing. (a) What is the (i) make, (ii) model, (iii) price, including all extras, and (iv) date on which each vehicle was purchased for use by (aa) her and (bb) her deputy since 1 April 2017 and (b) who authorised each purchase in each case? (1)(a) The purpose of the post is to process Development Finance Incentive applications and claims and make recommendations for approvals and payments. The title Business Development Officer: “Chemicals and Plastics” was incorrect as it was used by the Department of Trade and Industry (the dti) and therefore transferred as such to the Department of Small Business Development (DSBD). However, it has been amended and was advertised with the correct title of Business Development Officer in alignment with the DSBD job titles. (b) Remuneration package: R385 543 per annum (all inclusive). (2)(a) The Business Development Officer position was advertised on 24 November 2017. (b) The position was advertised in the Public Service vacancies circular. (3) Interviews for the Business Development Officer were concluded on 14 February 2018. Recommended candidate information was forwarded for background screening and feedback is expected on 16 March 2018. DSBD spent R0.00 on the promotion or celebration of the Year of OR Tambo on the (i) Africa News Network 7 channel, (ii) SA Broadcasting Corporation (aa) television channels and (bb) radio stations, (iii) national commercial radio stations and (iv) community (aa) television and (bb) radio stations since 1 January 2017? (a) The Department of Small Business Development (DSBD) does not own land. (b) The Small Enterprise Development Agency (SEDA) does not own land. (b) The Small Enterprise Finance Agency (SEFA) – see table below. Market Access opportunities for SMMEs and Co-operatives in the SOCs procurement value chains. Development of Start-ups, small and black operators and provide market access opportunities and relevant capacity building. Collaboration with the intention of taking social grants beneficiary out of indigent register through the creation of business opportunities and identification of appropriate markets and capacity building with particular focus on food security and cooperatives. Facilitate Co-operatives registration and training, facilitate Co-operatives funding, and identification of earmarked commodities and services for SMMEs and co-operatives. Development of rural and peri-urban enterprises and link them to specific programmes within DSBD agency network for support. DRDLR is responsible for Outcome 4 and specific legislation. Identification of enterprises that are developing new telecommunication ventures and technologies, link them to various support and market opportunities. DTPS developed a cabinet approved ICT SMME Strategy. Implementation has been linked to the partnership with SITA. The recent GovTech Conference hosted by SITA, had a major focus on SMME’s in general across all Tracks, with a specific focus in the Economic Cluster Track facilitated by DSBD. The track focused on two of the key challenges facing SMME’s, namely; a lack of access to markets for SMME's and limited support for commercialisation of innovation by SMME’s. These deliberations yielded numerous outcomes with proposed delivery dates which will be driven by a task team. Identify and support small businesses and cooperatives that can participate in the following: DoL training on safety programmes; and Productivity South Africa programmes. Identify SMMEs and cooperatives that are eligible to benefit from the DoL rescue programmes and DoL procurement opportunities. DoL has also offered free training to Informal Business. To identify areas of technological support and improvement to enhance competitiveness and sustainability of SMMEs to access opportunities in both local and international market value chains. Co-funding ICT start-ups in the French-SA Tech Labs and will co- host the SMME and Innovation Fund. To develop SMME’s and Co-operatives that will partake in the value – chains of environmental sector (such as but not limited to the bio - prospecting, wildlife subsectors and waste sub – sectors). Cross-cutting opportunities identified in the Chemicals and Waste Economy Phakisa. (i)(bb) No agreement nor Memorandum of Understanding has been entered into by the DSBD with provincial entities. To include four Abalimi Cooperatives to the municipal Integrated Development Plan so that the Cooperatives can be provided with support related to their bulk infrastructure needs; and further support the Cooperatives with financial and non-financial services, where applicable. To include two Abalimi Cooperatives to the municipal Integrated Development Plan so that the Cooperatives can be provided with support related to their bulk infrastructure needs; and further support the Cooperatives with financial and non-financial services, where applicable. Co-location Agreement with Municipality - Establishments of the Co-location points or one stop shop to provide financial and non-financial support to SMMEs and Cooperatives in collaboration with SEDA and SEFA. Support the implementation of the Informal Traders Upliftment Programme (ITUP) through relevant training and mentorship. Trained 1060 businesses in 2015/16. To provide capacity building for the informal businesses through the training and mentorship programmes within the manufacturing, engineering and related service sectors. Selection of enterprises to manage pilot phase for Administrative Adjudication of Road Traffic Offences (AARTO) offices finalised. Selection interviews were held in 10 cities country wide (Polokwane, Ekurhuleni, Durban, Mafikeng, Kimberley, Port Elizabeth, Mbombela, Cape Town and Bloemfontein). Development of small scale service providers approved for contracts with JCPZ. 8 cooperatives from JCPZ were approved for Co-operatives Incentive Scheme (CIS). They were all assisted with equipment for grass cutting and a vehicle to the tune of R 350 000 per cooperative to service the contracts provided by JCPZ (grass cutting). The DSBD does not have a contract with Travel with Flair and has therefore not procured services from this company. SEFA has procured services from Travel with Flair. 1. The Minister has met with the Chief Executive Officer. The outcome of the meeting was that the Department of Small Business Development (DSBD) together with the Small Enterprise Development Agency (SEDA) and the Small Enterprise Finance Agency (SEFA) will discuss possible areas of cooperation to include amongst other things, mentorship, sharing of research, the ecosystem analysis, etc. Furthermore, it was also agreed that a workshop/summit to discuss available finance for SMMEs in both public and private sector shall be conducted. 2. Government did an analysis on the focus as well as the terms and conditions of the Fund established through the CEO Initiative. Research on the ecosystem conducted by the Department shows that there is limited funding that is available for enterprises that are at an ideation, proof of concept and early start-up phase, and this is the category that is not going to be supported by the fund set up through the CEO initiative. Therefore, government will proceed with its plans of setting up a fund that will address this particular gap in the market and to ensure that Radical Economic Transformation is realised. National Treasury will be best positioned to respond regarding the exact dates of committing funding to the Enterprise Development Fund that government is working on. With reference to her reply to question 2505 on 6 October 2017, in which she referred to the 2016 Annual Review on the Status of Small Business and Co-operatives in South Africa, (a) what are the terms of reference of the review, (b) when was the review commissioned, (c) by which date will the findings of the review be reported and (d) who is conducting the review? a) The terms of reference of the 2016 Annual Review provides an overarching review of trends in the small business economy and is supported by detailed statistics. In doing so, the 2016 Annual Review provides an assessment of the performance of the SMME and cooperative sectors. In this regard, the 2016 Annual Review provides a profile of economic (contribution to Gross Domestic Product, Employment, Import and exports), demographic (population group, gender, age, educational level and location) indicators coupled with the number of small businesses and cooperatives in South Africa. In addition, the 2016 Annual Review should provide a comprehensive exposition of the needs, challenges and opportunities facing the small business and cooperative sector. In terms of challenges this will include, the impact of the challenges and measures employed to cope thereof. With respect to needs, the review will cover, inter alia, access to financial and non-financial support and market access. (b) The 2016 Annual Review was commissioned in January 2017. (c) A draft has been compiled and will be presented to the Executive Committee of the Department of Small Business Development on 20 November 2017 and will be finalised by the end of November 2017 thereafter the report will be submitted to the Minister for consideration. (d) The 2016 Annual Review is being conducted by Mthente Research and Consulting Services. Collaboration with the intention taking social grants beneficiary out of indigent register through the creation of business opportunities and identification of appropriate markets and capacity building. Development of rural and peri-urban enterprises and link them to specific programmes within DSBD agency network for support. Identification of enterprises that are developing new telecommunication ventures and technologies, link them to various support and market opportunities. This has been linked to the partnership with SETA. The recent GovTech Conference hosted by SITA, had a major focus on SMME’s in general across all tracks with a specific focus in the Economic Cluster track facilitated by DSBD. The track focused on two of the key challenges facing SMME’s, namely: a lack of access to markets for SMME's and limited support for commercialisation of innovation by SMME’s. These deliberations yielded numerous outcomes with proposed delivery dates which will be driven by a task team. Stimulate local economies by increasing procurement from local suppliers. 4 Provinces participated: North West, Mpumalanga, KwaZulu Natal and Gauteng. 11 farmers : 7 women. 32 Women owned Cooperatives were supported from the programme. 4 Provinces participated in Crop 17: Gauteng, Mpumalanga, Kwa-Zulu Natal and North West. Total Hectares planted for crop 17 = 1011. A total of 160 jobs were created. Only 2 out of 13 farmers/coops harvested. Others will commence late June/early July 2017. Awaiting Farmsol to provide a financial report indicating their profit/loss. The 5 selected as part of Pick N Pay Supplier Development Programme failed to qualify for BBSDP due to inadequate financial performance. DSBD will alternatively facilitate funding through Start-up Enterprise Development Programme (SEDP). To facilitate mentorship and coaching programmes for the development of the identified businesses and to build their institutional capacity; and facilitate market access linkages. 10 SMMEs have been identified and the list completed to link and Cooperatives linked to Pick ‘n Pay Procurement Opportunities. To provide technical assistance to the department to implement strategic projects such as SMME database, Chamber support programme, Red tape reduction and the Provincial Informal Business summits. To establish a relationship with the Bakgatla Bagafela Tribal Authority to identify and support small businesses through our agency support network. To tab into the organisation’s capacity and expertise to enhance the development of SMMEs and Cooperatives in the agricultural sector. Leverage on the Enterprise and Supplier Development and Corporate Social Investment programmes to develop enterprises and social upliftment in the surrounding communities. A recent tripartite arrangement made with Anheuser-Busch (AB) InBev to plough barley in the Tribal authority land in the said communities. Anglo Platinum has invested R45 Million for this project. Anglo through the tribal authority has committed 320 hectors to AB Inbev to plant barley. Negotiations on-going between DSBD, Anglo Platinum and AB Inbev in line with planting barley. To establish new businesses through containers that would provide tyres fitment and repair services. The current target is 33 businesses that comprise 20 containers and 13 express in targeted provinces (North West, Limpopo, Northern Cape and Eastern Cape). To establish new businesses and support the existing ones by providing distribution opportunities of the Nestle products to informal retailers by SMMEs and cooperatives. The target for this financial year is 50 micro distributors with ultimate support of 350 enterprises by 2019. To date 43 have already been selected. To support to co-operatives and SMMEs through its various programmes, such as its Enterprise Development Programmes. Development of a “Route to Market” for the enterprises. Assistance with education and technical training of cooperative members. Provisioning of Cooperative Governance and Book Keeping Training. Joint resource mobilisation for the Supplier Development Programme (SDP). Market Access, Funding and Capacity Building for women SMMEs and Coops to access opportunities across various industries. Leveraging on the resources of each party and work together for the benefit of SMME’s and Co-operatives to benefit from MF Post Investment Programmes, soft loans and capacity building. DSBD will also consider projects supported by MF from various incentive schemes. A list of 29 projects has been consolidated for DSBD consideration (SMME’s and Co-operatives incentives). MF will be submitting 13 Co-operatives Incentive (CIS) application forms for all the Co-operatives they’ve supported for grant funding. DSBD is in a process of compiling SMME’s and Co-operatives to benefit from MF various Programmes; UJ is in a process of compiling business cases of SMMES that were referred by DSBD to be submitted at MF. The response uses the perspective of Transaction Advisors in the context of financial advisors, accountants, business deal advisors, banks, insurance advisors, contract lawyers etc. Not applicable to DSBD in relation to financial transactions recorded on the financial systems. SEDA has not appointed transactional advisors for tenders for the period 1 January 2012 to 31 December 2016. Refer to Annexure A, Table 1 for further details. (1) Whether the (a) chief executive officer and (b) chief financial officer of entities reporting to her are employed on a permanent basis; if not, (2)	whether the specified officers are employed on a fixed term contract; if so, (a) what are the names of each of the officers and (b) when (i) was each officer employed and (ii) will each officer’s contract end? 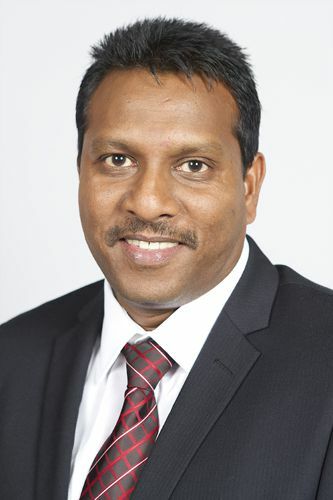 The Chief Executive Officer (CEO) of SEFA, Mr Thakhani Makhuvha is employed by Industrial Development Corporation (IDC). The CEO of SEDA, Ms Mandisa Tshikwatamba is appointed on five year fixed contract. 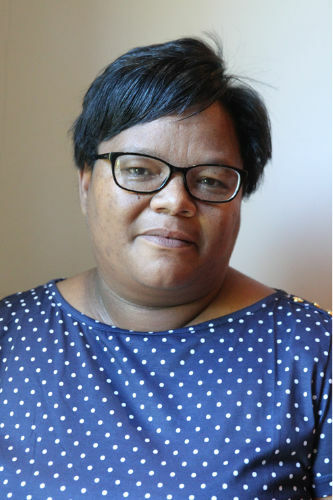 The Chief Financial Officer (CFO) of SEFA, Ms Reshoketswe Ralebepa is appointed on a five (5) year fixed term contract period. 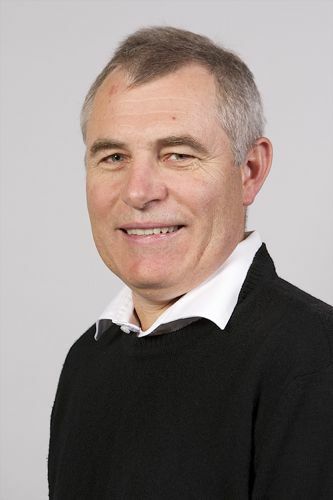 The CFO of SEDA, Mr Norman Mazizi is employed on five year fixed contract. Mr Makhuvha, employed by Industrial Development Corporation (IDC), was seconded to SEFA for a three-year (3) period. His secondment was further extended by three years. Appointed on a five year fixed contract. (a) The process of appointing members had its complications which amongst other things included delays in verifying criminal records, qualifications of some of the nominated members as they were out of the country for long periods. There was also a process undertaken to broaden the composition of candidates to include those with background and experience in Cooperatives Development. (b) The final list of nominations has been concluded and it is expected that the appointments shall be made in the last quarter of 2017/18 including induction of members. The new members shall be inaugurated to the Advisory Council on the 1 April 2018. With reference to the Minister of Finance’s Medium-Term Budget Policy Statement delivered in the National Assembly on 25 October 2017, where mention was made of a fund for start-up businesses, (a) by which date will the specified fund be operational, (b) what amount will be injected into the fund, (c) where will the money come from, (d) who will manage the fund, (e) will it have any connection to the Small and Medium-sized Enterprises Fund established by the Chief Executive Officer Initiative, (f) will it operate as a separate Development Finance Institution and (g) what will its financial mandate be in terms of (i) return on investment and (ii) profitability? a) The Fund will be operational during 2018/19 financial year but the planned disbursement of the funding will be the beginning of 2019/2020 financial year. b) An allocation of R1 Billion has been communicated to the Department of Small Business Development. c) The money will come from the national fiscus. d) The Department of Small Business Development together with National Treasury and Department of Science and Technology are working with the Government Technical Advisory Centre (GTAC) to develop the architecture of the Fund where issues around the management of the Fund will be considered. e) The SA SME Fund established by the CEO Initiative is targeting high growth businesses whereas our research on the ecosystem shows that there is a lack of funding of enterprises that are at an ideation and early start-up phase which will be the target of the Fund. The Department together with its agencies are engaging with SA SME Fund to identify areas of collaboration on other matters which include sharing research, mentorship and training of enterprises on financial management. f) The work that is being undertaken through GTAC will assist government to decide on how the fund will operate but the government is conscious of the economic environment and would not look at setting up a completely new structure that will add to operational costs. g) The financial mandate of the fund will be informed by the exercise that is being conducted through GTAC, but government is looking at having this fund as a soft loan which will provide affordable finance to small businesses and the emphasis will be more on ensuring that the Fund is sustainable rather than profit maximisation. (1)(a) Total amount paid: R 1 069 175,43 – inclusive of all payments made during the 2016-17 financial year. (2)(a) Estimated amount that will be paid out in bonuses cannot exceed 1.5% of the compensation of employees. The 2017/18 original allocation is R137,452,000 and the 1.5% translates into R2,061,780. (b) The Department will finalise the moderation process by the end of October 2017. The submissions will be drafted for approval and the final lists can only be made available after approval. a) The Enterprise Development Pilot activities are divided between the dti and the DSBD. The total budget for the entire project is R 23 754 129 inclusive of the other activities undertaken by the dti and the amount allocated for the Enterprise Development Pilot Project Supporting Local Economic Development (ADB/BD/WP/2016/0142) is R 11 949 756.
b) The project will extend for only two years because the type of the intervention that will be implemented in these six districts will take a period of two years. c) Depending the outcomes of the pilot project and budget availability the project will be extended to other municipalities. d) During the discussions that took place between the Bank and the dti at the time, the agreement that was reached was that because of limited funding that was available the projects identified should be those that have a potential of having a higher impact. The former mining towns are the worst affected by the economic decline and therefore these were prioritized following the establishment of the Inter Ministerial Committee on Revitalising Distressed Mining Communities. The intention of the project is to provide capacity building support for municipalities and local stakeholders to enable them to work together to explore diversification of economic activities post-closer of mines and to further revitalize the economic activities in these mining towns. What are the full details of the (a) turnover, (b) profitability and (c) number of jobs created through her department’s National Gazelles Programme for its 2015-16 financial year intake for each of the 40 selected small-, medium- and micro-sized enterprises that participated? The information provided in this response comprises the performance in percentages of all companies participating in the Gazelles programme (grouped by sectors). This response meets what the Small Enterprise Development Agency (SEDA) and the Department of Small Business Development (DSBD) can issue as public information limited by provisions of the Protection of Personal Information Act (POPIA). POPIA disempowers the Department and the implementing Agency on reporting on what may be viewed as a public domain, individual companies’ information which include profits and turnovers, release of such would have to be issued with written consent from respective companies. Cyclical products that have low turnover during certain seasons and pick up thereafter. Product mix, especially with companies in the construction sector (short term contract more profitable than long term contracts). Government business which tends to peek in February-March of each year. Companies not always updating their information on the system on time. The table below depicts turnover and profitability figures per sector grouping all 40 companies for period April 2016 to March 2017. As reported before, staff numbers have increased by 4% from 1068 to 1112 for 9 months to December 2016. The table below depicts employee numbers for each company. These numbers will be updated when a second benchmarking exercise is taken in November 2017. 1. SEDA eThekwini is independent from SEDA and is a Non Profit Company with its own Board of Directors. As one of the funders of SEDA eThekwini, SEDA had a fixed term funding relationship with SEDA eThekwini which expired at the end of March 2017. A Memorandum of Agreement (MoA) defined this relationship with reviews every three years. As it does with the network of business incubators it provides funding to, each periodic agreement is subject to review. Renewal of agreement should be based on a criteria as determined by conditions outlined by the MoA for the forthgoing period. Currently, a one year agreement is in place that will ensure the sustainability of funding for the 2017/18 financial year and will be guided by the decision on the eThekwini Board on the way forward. In cases where there is no new agreement concluded following a funding cycle that came to term and in line with PFMA requirements, SEDA cannot grant further funding to other organisations. 2. SEDA eThekwini, formally known as eThekwini Business Development Centre, is an entity of eThekwini Municipality. As SEDA needs to account for the allocation it disburses to SEDA eThekwini, the relationship with SEDA eThekwini is performance based and is also guided by other requirements in line with capacity to deliver and corporate governance best practice. At least three months earlier to the expiry of the funding agreement in March 2017, SEDA National Office initiated a consultation process that entailed a discussion of a combination of key factors that needed actions or decisions by SEDA eThekwini. Conclusions on these were to form a basis that would allow SEDA to continue funding SEDA eThekwini under a new MOU that was going to be signed at the beginning of the new financial year in April 2017. Discussed institutional obligations and options also sought to demystify the use of SEDA’s name by SEDA eThekwini. It was only in June 2017 that we received a response from the SEDA eThekwini Board, leading to a transitional arrangement by means of a one (1) year funding agreement which was signed by both parties on the 8th of August 2017. The agreement enables the flow of funds contributing towards provisions for continuation of operations particularly delivery of programmes and further outlines commitments between the two parties to support a process that will ensure timeous decisions and compliance arrangements to enable funding beyond the expiry of this new agreement.. Initial payments under this agreement were made on 22 August 2017. 3. The Minister is consulting internally on the matter with the Board of SEDA and has indeed communicated her intention to visit the centre. The staff member is a business partner in the company (Gradobyte). (b) The contracts or agreements undertaken by the Small Enterprise Development Agency (SEDA) with state entities are attached in Annexure A. (c) The Small Enterprise Finance Agency (SEFA) does not have any staff members who was awarded any contracts to conduct any business with any state entity for the financial years 2014-15, 2015-16 nor for 2016-17. The matters are still with the State Attorneys, other matters is sub judice. 1. The Small Enterprise Development Agency (SEDA) does not readily have the breakdown of actual total monthly costs of the office of the SEDA eThekwini. As an explanation to the above, SEDA eThekwini is non-profit entity separate from the SEDA network under the Department of Small Business Development (DSBD). SEDA eThekwini is owned by eThekwini Municipality where it possibly submits monthly management accounts. SEDA’s Memorandum of Agreement with SEDA eThekwini is to a maximum of R936 250 per quarter, totalling R3 745 000 per annum and this is primarily a client services performance based with quarterly and annual performance reviews. SEDA’s funding does not make up total funding to Seda EThekwini. 2. As explained above, SEDA’s relationship with SEDA eThekwini is limited to that of a funder, therefore cannot effect disciplinary processes over SEDA eThekwini personnel. Having been informed through media reports on allegations of non-payment of staff and funding of SEDA EThekwini’s office through personal loans, SEDA sought clarity on the matter from eThekwini’s Board of Directors. Following from these engagements, a report is expected from SEDA eThekwini Board. An agreement has already been reached with SEDA eThekwini Board for a due diligence audit to be conducted as part of the current financial year conditional funding agreement. The Department issued call for nominations for members to serve on board of SEDA in the various print media from 31st July 2016 and the advert closed on 26 August 2016. Call for nominations for members to serve on board of SEFA was issued in various print media from 12th of July 2015 and the advert closed on 27 July 2015. All board vacancies are filled, however a need for appointment of additional SEFA board members was recently identified. The Department of Small Business Development (DSBD) initiated the recruitment process of same in accordance with Cabinet approved Handbook for the appointment of persons to boards of state and state controlled institutions, section 31 (f) consulting with the parent department and (h) using departmental databases. The process is underway. a) The call for nominations was published on 23 August 2015.
b) The closing date was 3 September 2015. The National Small Business Advisory Body (The Council) is being established in terms of Section 2 of the National Small Business Amendment Act, 2003 (Act No. 26 of 2003) and the members of the Advisory Body are appointed by the Minister of Small Business Development in terms of Section 3(1) of the Act. The Minister of Small Business Development invited nominations from the general public, small business organisations and interest groups in terms of Section 3(1) of the National Small Business Amendment Act to serve on the Advisory Body. From the nominations received, the Minister of Small Business Development is mandated to select amongst the list of nominees and appoint the members of the Small Business Advisory Body for a period of three years. To date, the Panel approved by the Minister has finalised the process of shortlisting. All relevant documents and a shortlist of verified names by the DSBD Human Resource Directorate were submitted to the Minister for consideration of the appointment to the Council.